Supplied drones by 18 sister colonies, bred by Reiner Schwarz (DE). Supplied drones by 8 sister colonies, bred by Reiner Schwarz (DE). 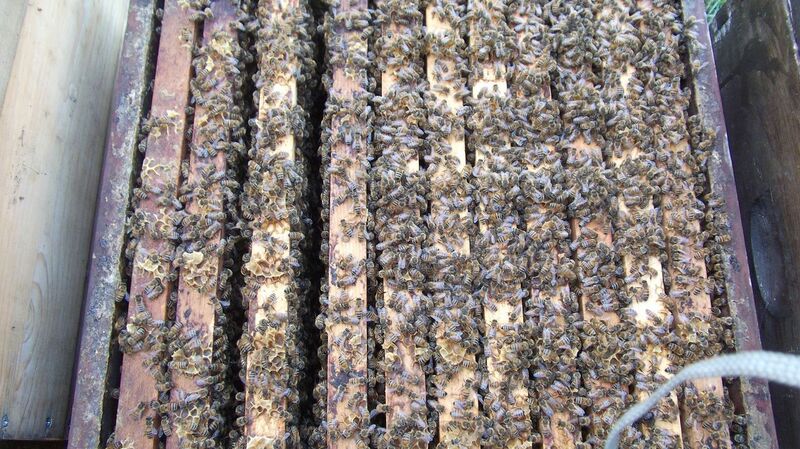 Supplied drones by 12 sister colonies, bred by Matthias Arndt(11x) & Bernd Schmid(1x) (DE). Supplied drones by 2 sister colonies, bred by Josef Koller (DE). Supplied drones by 2 sister colonies, bred by Ralf Höling (DE). at 13 beekeep.) Supplied drones by 19 above homogenized colonies = 2.384 mL plus 238 µL of diluent (10 %). × B74Vt(KK) : B674(MA)1dr, V963(PJ)1dr. × B14Vt(RHO) : B674(MA)1dr, V963(PJ)1dr. × B76(TR) ins : B674(MA)1dr. × B76(TR) bal : B242(MA), B607(MA), plus other lines. × B66(MA) : V963(PJ)1dr, B626(MA), B607(MA).